HD Airbrush Make up- IS IT FOR ME? A lot of my clients assume HD Airbrushing is just used for TV and Fashion because of being so close to camera however it couldn’t be more of the opposite. 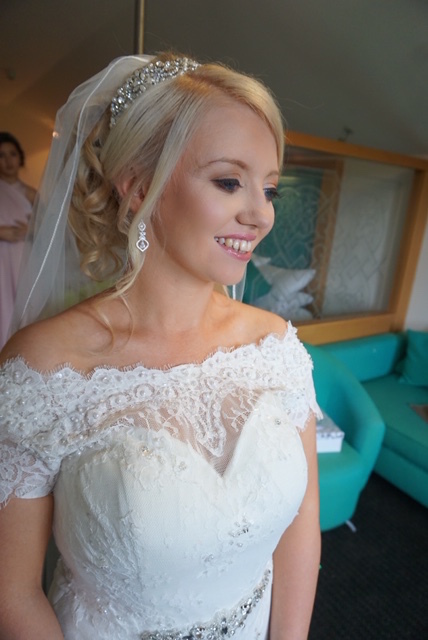 Airbrushing is becoming more and more common with makeup artists doing events and bridal because of course there’s bound to be a few snaps or two taken. It's not something to use for everyday life, it is a specialized technique and product which take slightly longer than your standard application of makeup because you have set up the machine and clean it after etc. However it is totally worth the extra time when you see the amazing effect it has. It says it in the name ‘airbrushing’ but yes it literally does give you that effect. Airbase makeup is applied to the skin using an airbrush gun. A fine mist of the silky foundation liquid is evenly sprayed directly onto the skin, giving an utterly flawless and even finish. These fine, tiny particles of makeup are applied with air to the skin to help even the skin tone and smooth over any imperfections without layering product. It simply has that unbeatable finish! Is airbrush makeup for me? However if my client usually goes for a medium- full or very full coverage she’s most likely going to love it. Does all make up have to be applied by the airbrush? No absolutely not, I will usually use a mix of airbrushing and free hand make up- At the end of the day it depends on what kind of make up I’m creating. A lot of the time, I will use the airbrush for the base, perhaps contouring and other face makeup and will do the rest free hand. But airbrushing can be used for a full make up, even eye shadow. If you have any questions about the Airbrush, please don't hesitate to contact me here and have a chat!